NewscastStudio has scored another big win — registering record traffic in July 2017, beating our previously all-time best month in January 2017. This traffic surge in July was especially significant given that July 2017, unlike July 2016, did not have political conventions, which contributed significantly to our numbers last year. However, with behind the scenes looks at the new “NBC Nightly News” set and our exclusive shot by shot look at the new set, coverage of summer game show production design and NBC News’ Snapchat newscast, NewscastStudio served up compelling broadcast industry news. Improved coverage on production design for game shows, talks shows and other programming types. Numerous exclusive interviews and studio visits with industry leaders, designers and network executives to give you access to content you can’t find anywhere else. Our editorial content and team have been cited in Wired Magazine, The New York Times, The New York Post and numerous other TV industry and architecture publications, proving NewscastStudio is the go-to source for broadcast design and tech coverage. Further coverage expansion into broadcast growth markets overseas, including China and Latin America, with roughly 25% of our visitors now coming from outside the U.S.
Of course, none of this growth would have been possible with you, our readers. 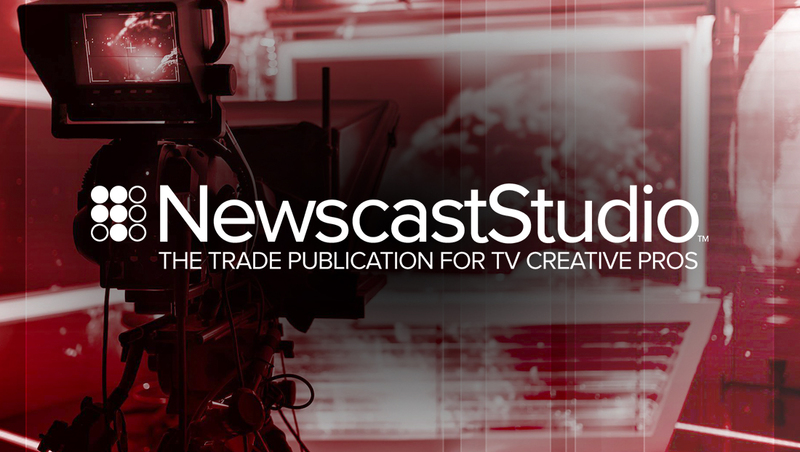 Thank you for turning to NewscastStudio as your source for broadcast industry news. We look forward to a great rest of 2017 and beyond bringing you more exclusive and behind the scenes content.